Influenced by Guy Ritchie's film, the role of the heroine, Irene Adler, was also expanded on during the show. Her love affair with Sherlock Holmes is one of the series' main storylines. She will be played by actress Lyanka Gryu. Kavun has also said he only plans to use the motives of the original stories, and will recreate the stories almost from scratch. The series will also a... (展开全部) Influenced by Guy Ritchie's film, the role of the heroine, Irene Adler, was also expanded on during the show. Her love affair with Sherlock Holmes is one of the series' main storylines. She will be played by actress Lyanka Gryu. Kavun has also said he only plans to use the motives of the original stories, and will recreate the stories almost from scratch. The series will also assume that Watson's descriptions of the crimes have been embellished. Later he will try to adjust reality to his fantasies. As an example, Holmes' famous pipe will be replaced by cigarettes. 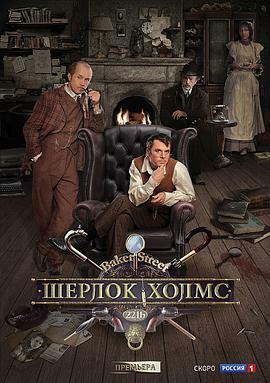 Unlike most adaptations of Sherlock Holmes, the Sherlock in this adaptation is younger than Dr. Watson by 15 years.